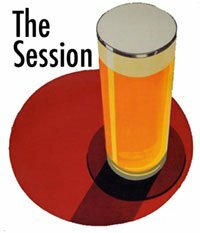 Just a quick reminder that I am hosting the session this month and it takes place this Friday. To be included in the round-up, just put a link to your post either on the original announcement, this one or on my own session post. You can also email me as well. If you have something to contribute but don't have a blog, email it to me on or before Friday and I will post any relevant articles on my blog. well with that clarification you won't be happy with my post but I'm not changing it now! I'll have a Session post up at http://drinkdrank1.blogspot.com/ on Friday, too!